What do you mean by "bend" ? Is it visible, got a piccy ? Wayne take it back and complain big time. 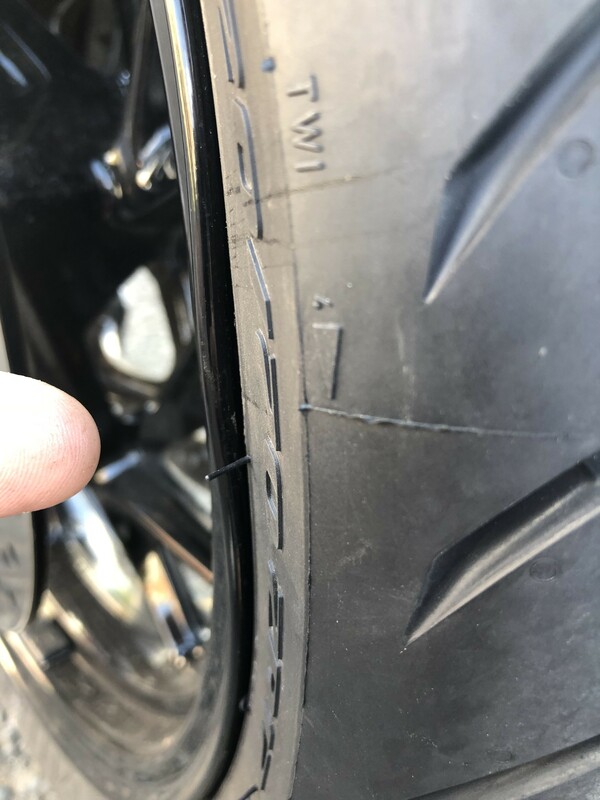 I do not know if the rim damage was done by them. But the adjustment was downright unacceptable. And could have proved costly. Do not except it and if they do not come up with a good response, expose the tossers. 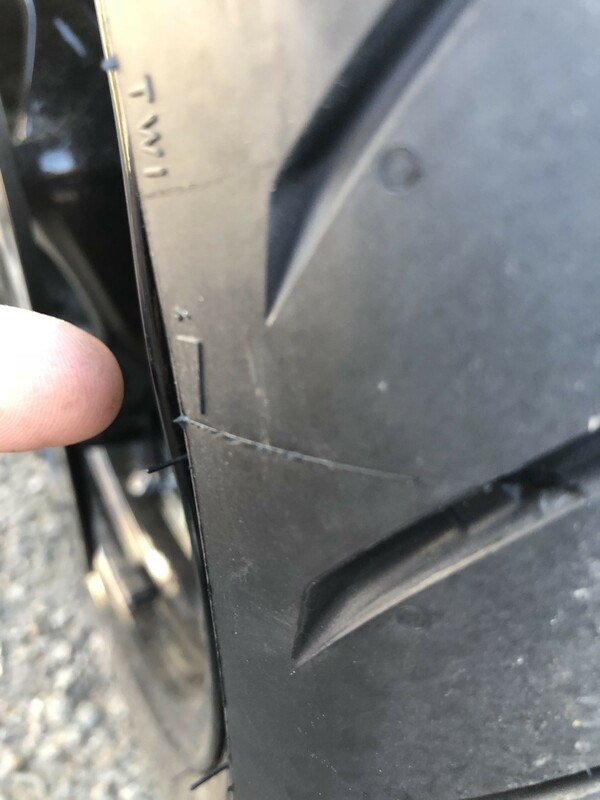 Thats not from a pothole, looks like a lever been applied to it. 24 mm Allen for the axle and T-45 Torx for the pinch bolts. The top of a spark plug socket often is a substitute in a pinch for the 24mm, or a large metric bolt head. 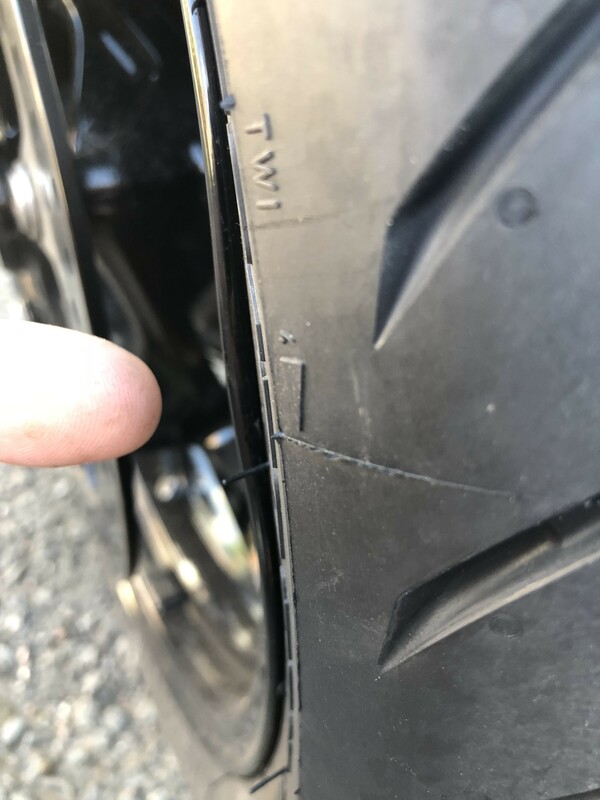 It's my opinion that your tire guy buggered the rim, go after him with conviction. 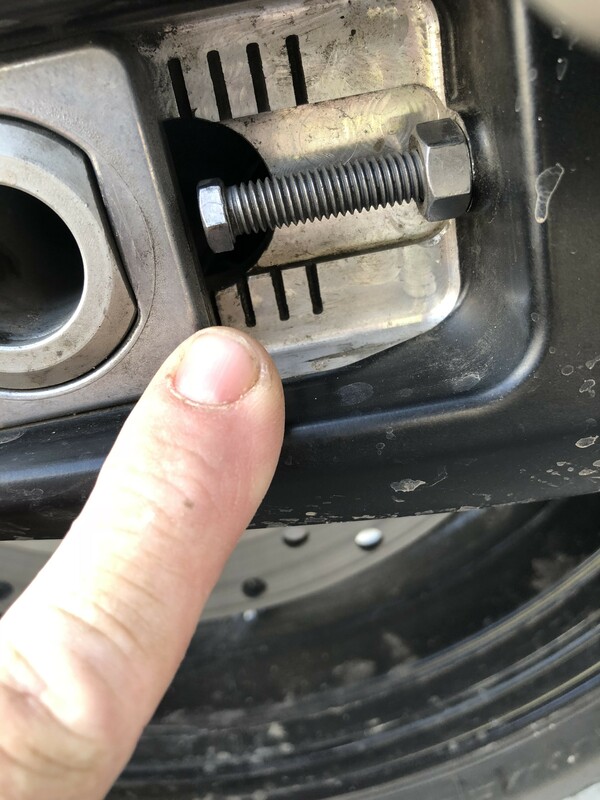 And who the hell tightens an axle without aligning it first? Some part time juvenile?